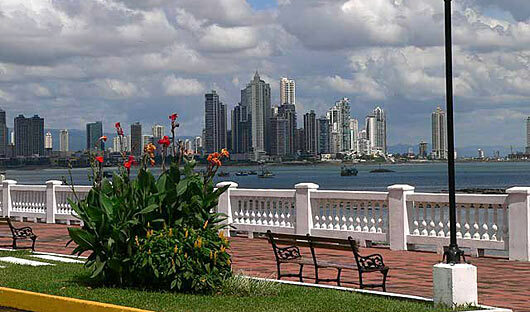 Arrive in Panama City where you will be met at the airport and transferred to your hotel. 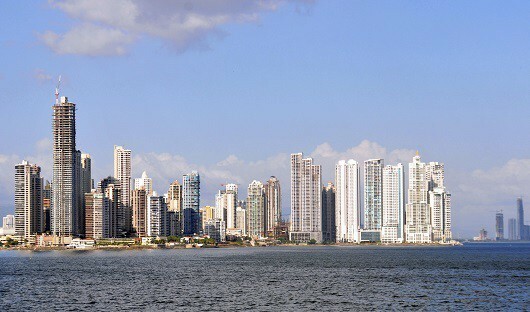 Enjoy a half day historical Panama City tour which takes you on a fascinating history journey starting in Panama Viejo, where Pedro Arias de Avila founded the first Spanish City on 15 August 1519, continues to Casco Antiguo, the historic centre of Panama city with beautiful restored colonial houses, interesting museums, cathedrals and plazas. This 125-room luxury hotel is centrally located in Panama City, with dining and shopping options within walking distance. 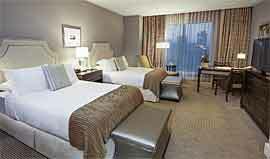 The rooms are bright and airy, with large bathrooms, iPod docks, big flat-screen TVs, and free Wi-Fi. 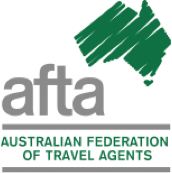 Facilities at the hotel include a Panamanian-inspired restaurant, chic bar and lounge, rooftop pool, and an excellent spa with great city views. 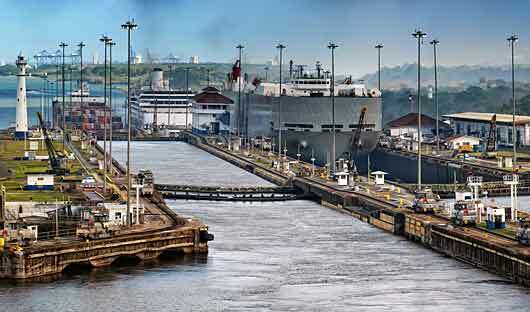 This morning you will be met at your hotel and driven to the town of Gamboa, half way up the Panama Canal, where you will board the Panama Canal 250 passenger ferry for your partial transit cruise through Pedro Miguel Locks and Miraflores Locks (two of the three lock sets of the Panama Canal). The Guna People, inhabitants of San Blas Islands, are one of the best preserved of the indigenous cultures of the Americas. 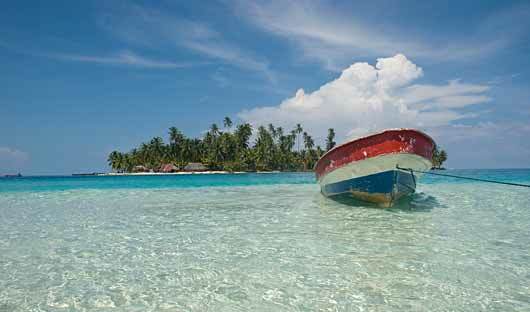 San Blas Islands, comprises of 365 islands, less than 60 of them are inhabited. 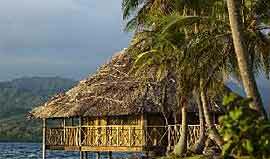 Turquoise waters surround white-sand beaches dotted with palm trees and thatched-roof Guna villages. Today you will be met at your hotel and transferred to Albrook Airport for your small plane flight to San Blas. 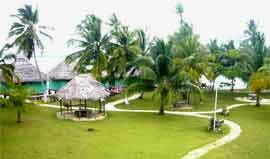 On arrival you will be met and transferred by dugout canoe to you lodge. Enjoy a day of activities in San Blas including snorkelling, rainforest walks, sailing around the island in a typical Guna dug-out canoe, visiting neighbouring Guna villages with opportunities to learn about the Guna way of life and their traditional ceremonies. Yandup is a paradise island surrounded by coral reefs. It has a little beach with calm and crystal clear water and miles of sand within walking distance. The lodge offers five cabins on the beach with private facilities, two oceanfront cabins with private bath, and one waterfront cabin with bathroom and showers outside the cabin. Akwadup Lodge offers seven brightly coloured cabins built over the ocean offering beautiful panoramic views. Accessible by a wooden boardwalk, the cabins are a mix of traditional design and modern comfort with a private bathroom, fan, and terrace with a hammock to relax in. The lodge has a restaurant where breakfast, lunch and dinner are served. 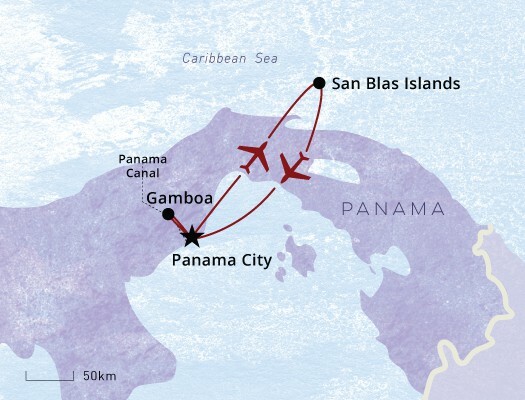 After breakfast you will be transferred to the airstrip where you will board your domestic plane back to Panama City.